You may click the buttons at the top of the page to explore this site and learn more about the counseling and healing services offered. Jed Shlackman, M.S. Ed., LMHC, is a Licensed Mental Health Counselor [Florida Lic. # MH 5806] offering services in the Miami, Florida area. Jed is also a certified Hypnotherapist, Reiki Master, Regenetics Facilitator, SomaEnergetics Practitioner, Holistic Health Educator, Spiritual Life Coach, Energy Healer, Sound Healer, and practitioner of Energy Psychology methods such as EFT, Neuromodulation Technique (NMT), DNA Theta Healing, and Psych-K. Jed has extensive experience with both modern psychological counseling techniques and a range of holistic mind-body-spirit focused healing methods, integrating these to facilitate powerful healing and transformations with clients of all ages. These therapies have been highly effective for assisting clients with a wide range of concerns, including addictions, ADHD, anxiety, depression, phobias, PTSD, stress-related illnesses, trauma, weight management issues, and a variety of other mental and physical health concerns. Jed continues ongoing exploration of products and therapies in holistic medicine and integrative health, and has many free health and wellness information resources available to assist you. Jed is committed to assisting clients in accessing all available healing resources to promote optimal wellness and personal empowerment and achievement. As an experienced clinician with a deep, holistic approach to healing and over 20 years of service assisting thousands of people transform their lives, Jed works with clients from all around South Florida and across the world. Jed's goal is to assist clients in creating health and well-being and living life with their full potential - this is your birthright, and it's time for you to experience greater well-being and success rather than suffering. This holistic approach has helped numerous people avoid or free themselves from medications and drugs and move forward in their lives to create healthy relationships and fulfilling creative and professional endeavors. The resources we each have within ourselves are the greatest source of healing and these are truly inspiring once we recognize and embrace them! Call for free information about these services and find out if these holistic counseling, healing, and professional therapy sessions may benefit you. You may reach Jed's office phone at (305) 259-0013. Please leave a voice mail message with a number to reach you at if we are unable to speak to you at the time you call, your call will be returned promptly. Sessions are available by appointment, both weekdays and weekends at the primary location (12965 SW 112th Ave., Miami FL 33176). Note: No Refunds. 24 hour notice required for postponements. If you cancel with at least 24 hour notice you may reschedule your session for a later date with no additional charge - there is no refund option. You are responsibile for arriving on time for your appointments and honoring the therapist's commitment of time to serve you. The standard fees listed on this site are for sessions at one of Jed's locations. For sessions offered on a mobile basis in the Miami-Dade County area (e.g. at your home or office) there is regularly an additional $50 charge. Some services may be covered out-of-network by insurance; please call to inquire about insurance and other payment options. Check out great coupons for Holistic Counseling, Hypnosis, & Reiki Healing on LocalSaver! Classes and lectures are also available. Jed is presently offering a special PowerPoint-supported presentation on ENERGY HEALING - THE KEY TO MENTAL AND PHYSICAL HEALTH [download .ppt]. Updated version here includes discussion of hypnosis & transpersonal psychology. See how and why energy healing is ushering in a revolutionary paradigm shift in the healing arts. This is an eye-opening, consciousness-transforming presentation that will change your life! Contact Jed if you wish to host this special presentation. Next Free Reiki Healing Circles will be on Friday, April 12, 2019, 6:00-7:00pm and 7:30-8:30pm at Five Sisters...A Spiritual Journey (8805 SW 132 St., Miami 33176). Click HERE for the Reiki course/workshop descriptions and full schedule. Jed will also be providing special discounted energy healing/energy balancing sessions at Five Sisters www.fivesisters.co, on Tuesdays, from 12:30pm-6:30pm. 1-day special, $75/60 minutes, $40/30 minutes, $25/15 minutes! By appointment only. call 786-250-4170 for sessions and events at Five Sisters. Chakra Psychology 101 - TBA. Explore the principles that underlie the chakra system and psychospiritual growth. Feel the transformational power of crystal and Himalayan singing bowls along with a soothing and inspirational guided meditation! Learn to clear your mind and refresh your body and soul. 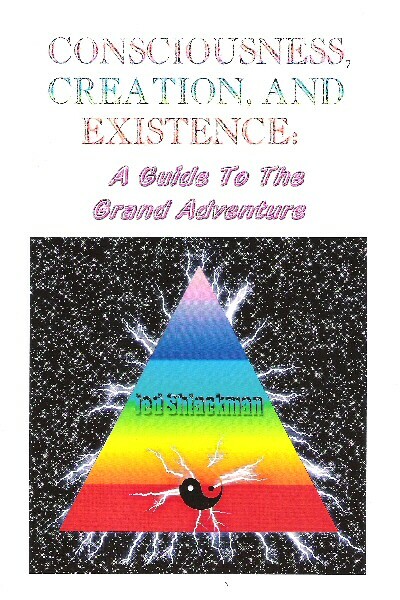 is available for sale at Celestial Treasures, Coconut Grove, Five Sisters, Miami, & Amazon.com. Jed is offering a special workshop based on this book and its sequels. The new books are titled "AWAKENING: Letting Go Of Beliefs And Illusions, Embracing Your Spiritual Potential" and "Past Lives, Spiritual Regression, Limitless Consciousness, and Self-Integration" Breaking Free & Empowering Yourself In The New Year: Date TBA $20 A workshop to help let go of fears, release regrets and resentments, and empower yourself to live freely and fully in the present, uninhibited by emotional burdens or old limiting beliefs. This workshop will guide participants to build self-awareness and transcend belief systems. Participants will be able to receive free ebooks to support their journey of self-discovery. Discover the power of sound and intention! Learn about Regenetics and SomaEnergetics. Jed Shlackman, LMHC may be contacted at jshlackman@comcast.net If you email Jed and don't receive a response, please follow-up with a phone call [no texts please] to (305) 259-0013, as sometimes emails don't reach their destination. DISCLAIMER: The information and resources presented on this site are not intended to replace the care of a qualified health professional. While the ideas presented here are typically based on extensive research, they are not intended to provide specific advice for any individual person's medical concerns. The resources on this site are for educational purposes; it is recommended that each individual choose a trusted health care professional for diagnosis and treatment purposes. The author of this site encourages visitors to educate themselves about the various theories and treatment approaches for health care issues, so that the safest, most effective approaches can be identified. Note: Coupons may only be used in person and cannot be applied online with PayPal payments. Coupons cannot be combined with other discount promotions. Limit one coupon per person.